A key factor in launching a new drug treatment is effectively communicating key product information to doctors, HCPs and most importantly, patients. 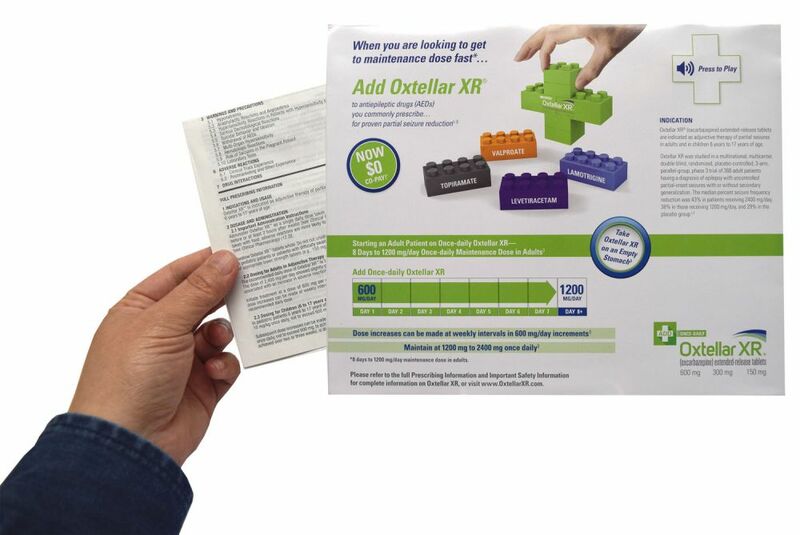 And when Supernus pharmaceuticals was ready to kick off a direct mail campaign to promote their new drug treatment Oxtellar XR, they wanted to make sure that their target audience was well informed of the new treatment. With a full array of multisensory technologies to choose from, Supernus and its ad agency decided to choose Americhip’s Audio Chip technology. 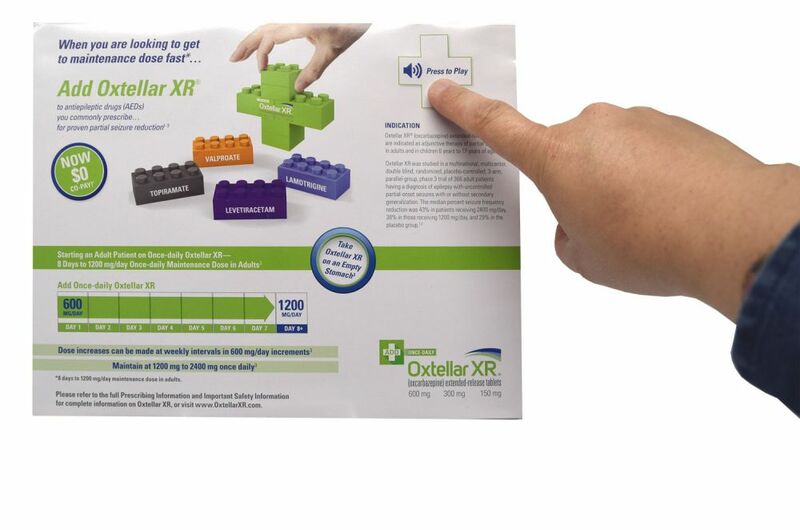 Americhip’s paper and tech engineers produced a beautiful 9” x 12” audio brochure that literally told the story behind Oxtellar XR and why patients suffering from seizures should switch to the new drug. The full color brochure included detailed dosing information, infographics, and product safety information. And with the push of a button, an audio clip played allowing for readers to engage with the brochure, creating a more engaging experience. The audio brochure also had a hidden pocket for additional literature. 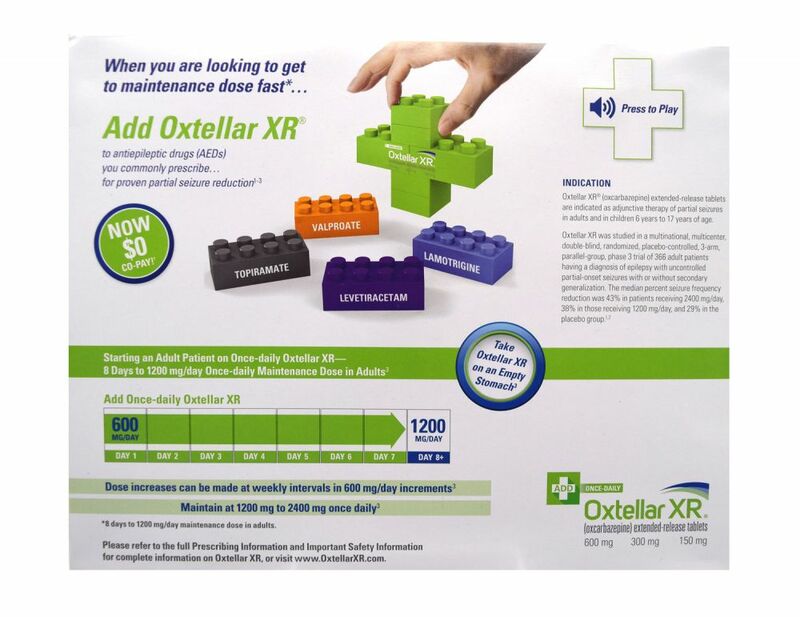 Now with Americhip’s audio chip technology, the Oxtellar XR story was not only seen, but heard – essentially creating the experience the Supernus team was looking for.